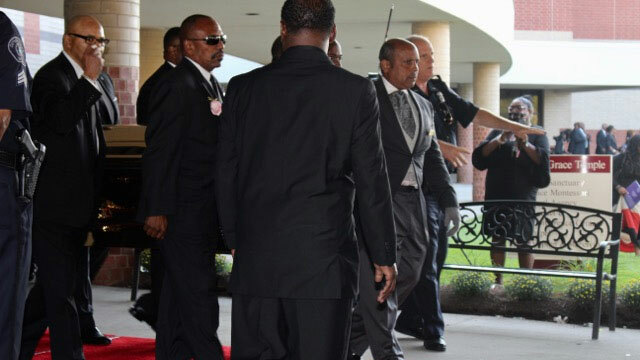 Friends and family filled the Greater Grace Temple in Detroit, MI on August 31st to say their final farewell to the late Aretha Louise Franklin. The singer, well known as the Queen of Soul, died in her home on August 16th, at the age of 76, following a battle with pancreatic cancer. Aretha made her mark in the music world and left an impact in the lives of those who knew her, as well as those who were only so lucky to know her voice. Aretha’s influence didn’t stop with music. As person after person, took the stage to share how Aretha impacted their lives, and the lives of those around her. Music industry executive, Clive Davis called Aretha “the ultimate ‘Natural Woman’”. “Aretha was indeed a true genius of American music,” Davis said. “Every time I was with her professionally and personally I was confident she would be a significant part of American history”. Davis had been accurate in his assumption. Over the span of six decades, Aretha was awarded 18 Grammy Awards, and is regarded today as one of the best-selling musical artists of all time. Some of her most well known hits include, “R-E-S-P-E-C-T”, “Think”, and “(You Make Me Feel Like) A Natural Woman”. Reverend Jesse Jackson remembered the time he first heard Aretha’s voice coming over the radio of a Nashville station when Aretha was only 14 years old. “That night, somewhere between Nashville and Heaven, a star was born,” declared Rev. Jackson. Former President of the United States, Bill Clinton, honored the woman who sang at his first inauguration in 1993 by saying “She had the voice of a generation and maybe the voice of the century, I just loved her”. Clinton lovingly laughed that he was pleased to see the funeral began as an open casket. “I wonder what my friend has got on today” he openly commented. Aretha’s body was dressed in gold, all the way from her head, to her sparkly red-bottom Louboutin heels. Even the casket was fit for a queen, it being solid gold, and surrounded by large bouquets of roses in shades of violet and pink. When the time came for the casket to be closed, the iconic soul-singer received one last standing ovation. Performers at the service included Faith Hill, Ariana Grande, Chaka Khan, The Clarke Sisters, Ron Isley, Fantasia Barrino, Stevie Wonder and many more. As the 10-hour service continued with songs sung to commemorate Aretha’s life, and cherished stories shared to honor her memory, it became nearly impossible for anyone in attendance not to feel a wave of emotion. Alex Heiche, music industry financial expert and executive described the day as historic. “Today, we honor the music, soul, and legacy of a true American icon,” he said. “It goes without saying that the true essence of her spirit will live on forever in our hearts and minds”. As the service ended, the family followed Aretha’s casket down the red carpet to the pearlescent white 1940 Cadillac LaSalle. The same one in which Aretha’s father, as well as Rosa L. Parks were taken to their final resting places. In a procession fit for a queen, Aretha Franklin’s hearse was followed by a seemingly never-ending motorcade of pearlescent white limousines and pink Cadillacs.